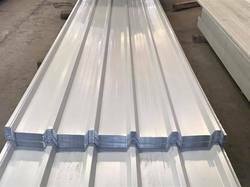 Offering you a complete choice of products which include faisal shine ppgi galvanized roofing sheet and ppgl galvalume sheet. 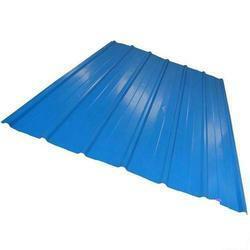 We are Leading manufacturer of FAISAL SHINE PPGI Galvanized Roofing Sheet in our region. Which is widely known for its high quality and durability. Manufactured for top notch raw materials, this product will not let you down. Leveraging on our latest machines and tools installed in the manufacturing process, we are offering FAISAL SHINE Galvanized Sheet to the customers. This array of products is used for making roof in various relief camps. We offer the sheets in plain and corrugated boxes shapes as well as in various metal grades. During the time of manufacturing, we follow the set industrial norms and regulation. We are offering a wide range of PPGL Galvalume Sheet.